5.0 average based on 6 reviews . 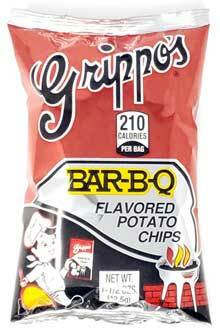 As mentioned above, the only way I can purchase Grippos locally is through food vebding machines at my Hospital. That's how I discovered the great taste. I guess because of the region I'm located in, they're not available through retail stores. I love that I can order a case of them direct from your store and snack on them anytime rather than going in to the hospital with a pocket full of quarters and all the stares I get from people in the waiting room as I exit with an armload of little red and silver bags.